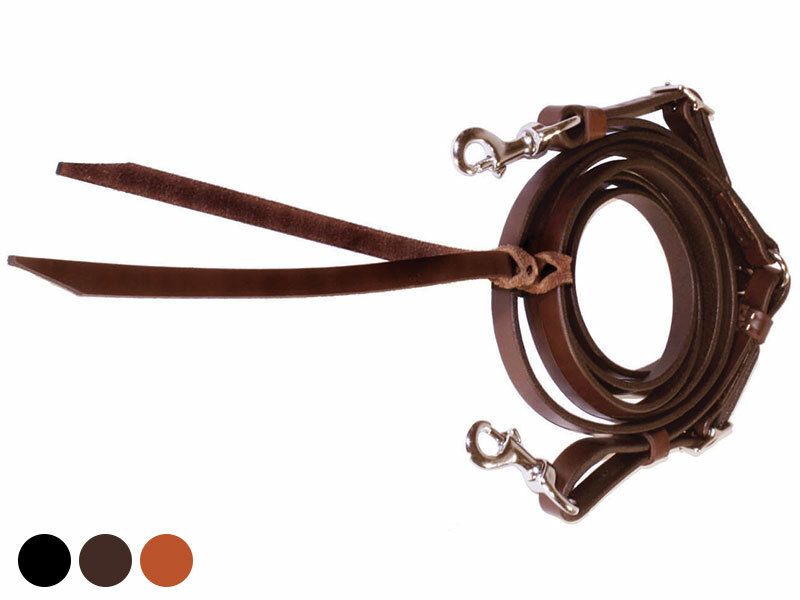 Tucker's durable reins are oiled and hand finished with rolled edges for rider comfort. Has a snap on each end with buckle length adjustment. Inventive design incorporates a watering sting, laced through center of rein to allow you to hold rein while horse drops head to drink. 9' x 5/8" Brown, black, or golden. Brass or chrome hardware.